As a proud “Alumni” parent of Denver Academy, I enjoy any opportunity to volunteer for this wonderful school! My son Cooper attended D.A. for five years. He just graduated in the Class of 2011 and is now in his final year at CSU in Fort Collins. 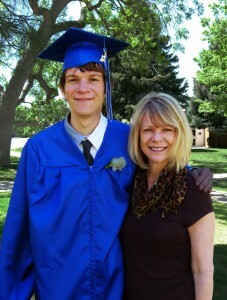 I believe that Denver Academy was a key reason for my son’s academic success and personal growth. Like most D.A. parents, I have enormous gratitude for this school, the teachers, and staff. Talking to other D.A. parents, I have found they too feel the huge impact D.A. has had on their children. Tuition at Denver Academy is among the highest in the state, a challenge and sometimes a real hardship on families. As a grateful recipient of tuition assistance, I wanted to find a way to give back to this amazing school and to help other students attend Denver Academy. That is the reason I will make a donation from our commission as a result of assisting a client referred by a parent, student, or staff member at Denver Academy. These proceeds will go directly to the D.A. tuition assistance program in the names of the clients as well as the referral source.